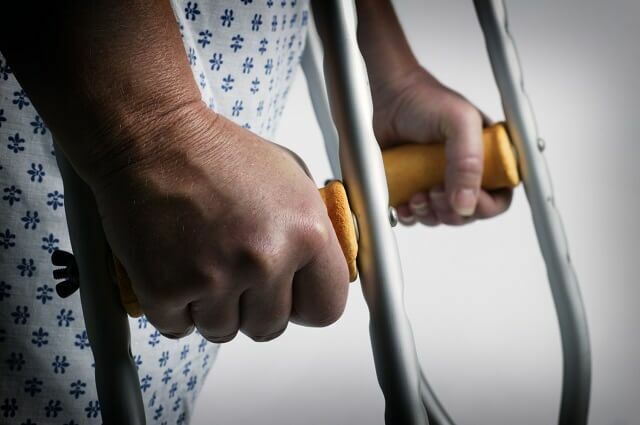 Most personal injury cases settle out of court, but how they settle can vary. Some cases end during essential negotiations and often before the courts are involved. Other times, the case goes through alternative dispute resolution, such as mediation or arbitration. Today we focus on the use of arbitration in personal injury cases – and how your case might require arbitration, the process of it, and potential outcomes. What is Arbitration and Why is it Used in Chicago Injury Cases? To ease the burden on the court’s schedule, some personal injury attorneys might opt for arbitration over a traditional trial. Arbitration still puts both sides in control of the outcome – compared to the unpredictable nature of a jury trial. This legal proceeding is informal, and both sides can dispute, offer testimony, provide evidence, and work alongside a neutral third party known as an arbitrator. The arbitrator is the “referee” of the process. Typically, your arbitrator is a retired judge or an attorney that has vast experience in personal injury cases. They are not affiliated with either side and instead, help facilitate an agreement and ultimately decide on the matter. After both sides have presented their evidence, the arbitrator will decide on the case. Arbitration might be binding or non-binding. If it is binding, that means you have entered a court-ordered arbitration (which makes it mandatory), and the arbitrator’s decision is final. If the case is entering non-binding arbitration, then both sides have the right to reject the arbitrator’s decision. However, the case does not restart. Instead, it proceeds to a jury trial. How Often Do Personal Injury Cases Go to Arbitration? Most personal injury cases use mediation or a jury trial, but some will use arbitration. Medical malpractice claims, especially against health insurance companies or hospitals will typically require arbitration. That is because when you accepted treatment from that provider, you most likely signed a binding arbitration with them. Therefore, you must go to arbitration instead of court or mediation. Some car accident cases will go to arbitration, especially if the claim is filed under underinsured or uninsured motorist insurance. Most insurance companies have provisions in these policies specifically that require arbitration if the insured and the insurance company refuse to settle. If a contract requires arbitration, that means you are likely encountering binding arbitration. With binding arbitration, you are stuck with whatever decision the arbitrator decides unless both reject it and move to a jury trial. During arbitration, you and your attorney will be in the same room as the arbitrator and the defense. You will sit across from one another at a conference table, and there is a court reporter present because this will be part of the court record. The arbitrator goes over the rules of arbitration in the beginning, and they will require that you are sworn in to tell the truth as part of standard courtroom procedures. If you bring witnesses to your arbitration, then those witnesses will be sworn in at the start too. Just like in a courtroom, your attorney and the other side’s attorney will have their opening statement. While you have a more informal setting, arbitrators do not want lengthy introductions. Therefore, most attorneys will keep their opening statement short and succinct. The statement does not discuss case details or evidence. Instead, it addresses the date of the accident, injuries, and their severity, and overall the compensation you hope to receive at the end of the proceeding. Sometimes the defense will not provide an opening statement until after you have presented your evidence and it is their turn. They do this so that they can adjust their statement after seeing the evidence revealed in your case. After opening statements, the plaintiff’s side shows the evidence. The evidence supports anything in the opening statement that was said but also establishes the negligence, injuries, and proof of damages. Any detail given to the arbitrator should be backed by tangible evidence – whether that is a photograph, medical record, or witness testimony. Any documents will be given to the arbitrator as they hear the evidence, and they will review them. After you have represented the evidence, testified yourself, and your witnesses have completed their testimonies, the insurance company or defense attorney has the chance to ask you questions in front of the arbitrator. Some arbitrators will skip this phase or require that the insurance company filter questions through them directly. Questions are related to the evidence only. They are not personal like deposition questions and can only be used to question your evidence or a witness’s statement. Next, the defense has a chance to present their case. If they reserved the right to make a statement later, then now is the time to hear their opening statement. After the attorney for the defense provides his or her opening statement, they then start using their evidence to rebut your side. At the end of their presentation, you too may ask questions. Your attorney will look for holes or items that are questioned in the presentation, then present these questions at the end. Just like in a trial, both sides will present their closing remarks. Closing remarks touch on what was presented with the evidence, your injuries, and again why you are seeking compensation – and the preferred amount. After closing remarks are made, the arbitrator will end the hearing. They will gather any evidence for further review, and the hearing ends. You do not receive a decision that same day. Instead, you will receive the arbitrator’s decision in the mail. Sometimes, the arbitrator may request additional documentation that they feel is necessary to make their decision. However, you will not hear from them again until you receive the decision. Arbitrator’s decisions typically take one to two weeks. Depending on the type of arbitration, the decision may be final, and you may have no options to appeal that decision. Your attorney will discuss your options after you receive the arbitrator’s decision. If you are awarded compensation, then your attorney can file the necessary documents to collect that compensation. Most attorneys try to settle an injury claim without mediation or arbitration. This is because they remain in control of the outcome, while arbitration is not always predictable. However, there is a place for arbitration in personal injury cases, and there are also disadvantages to going through it. Avoids the courtroom hostility. Arbitration allows both sides to participate fully and find a resolution. They may work together more amicably than they would in the courtroom, and it is unlikely for hostility to escalate because both sides know that the arbitrator’s decision might be final and binding. Cheaper than courtroom litigation. Most importantly, arbitration is less expensive than going to a jury trial. Arbitrators have a per day fee for their services, but even then, that fee is cheaper than the cost of a full hearing. The process is quicker too, which means lesser attorney fees and a faster resolution. Faster resolutions for injury victims. You are suffering from your injuries, but also have living costs that you cannot afford much longer. When you go to trial, it could take weeks or months to resolve. Arbitration goes faster, and you will receive a settlement quicker. More flexibility and an informal environment. If the idea of going to court scares you, arbitration might be a better route. The process is informal; you are not dealing with the confines of the court. Also, there is more flexibility in scheduling. You are not waiting weeks to make it on to the docket, you can schedule a hearing around your needs, and some arbitrators will even do evenings and weekends. Simplified rules when it comes to evidence and court procedure. Arbitration does not have the same convoluted rules of evidence. You can call witnesses, produce documents, and skip over the scheduled tasks of a traditional hearing including interrogations, depositions, and the entire discovery phase. Everything is kept private. If you choose arbitration, you can keep the outcome from the public record. The cons of arbitration vary depending on the case. However, the biggest disadvantage is that you may be stuck with the decision, and that means limited recourse if you disagree. If you were to go to trial, you have the option to appeal. Arbitration is also questionable when it comes to the objectivity of the arbitrator. You may not be able to pick the arbitrator, and the outcome can be highly unpredictable depending on who the court assigns. If you or a loved one was seriously injured in an accident, you should not worry about how your case will be resolved. Instead, contact an attorney from Malman Law. Schedule a free consultation and let our team work to secure the compensation you deserve. Call us at 888-307-2051 or request more information online.